Welcome to North Sound Massage Therapy, LLC. My name is Toby Ann Williams, LMT, MMP, CCT. I am the owner, and sole practitioner of NSMT. I've been a licensed massage practitioner in Washington State since 2009. I am a Certified Medical Massage Practitioner, as well as a Certified Cupping Therapist. 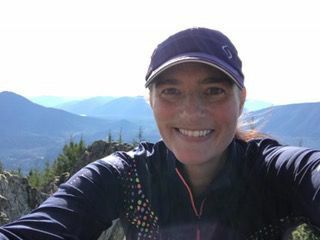 I'm a graduate of Spectrum Center School of Massage in Lake Stevens, WA, and a member of the Washington Sports Massage Team as well as the American Massage Therapy Association. I have additional training in clinical sports massage, advanced whiplash treatment techniques, pre-natal massage, oncology massage, inner-oral massage, warm bamboo massage, gua sha and cupping therapies. Many of my clients describe my massages as treatment based while relaxing. I believe that deep tissue, muscle specific massage should be pain free and that the body should be treated as a whole - it's all connected!